Watch all the action of the Bretagne In-Port Race LIVE from Lorient, France on Saturday, 30th June at 1045 UTC (6:45 am EDT US). It's a new day for America's Cup and it is breathtaking how fast the sails carry the catamarans across Narragansett Bay, the Pell Bridge in the background. Much has changed in the almost three decades since the last America's Cup was on these shores. Why is Stan Honey updating the way sailing races are televised? It was exactly eight months ago that six teams took to the water for the first in-port race in Alicante, Spain, kicking off the 2011-2012 Volvo Ocean Race. . . .
AS the Volvo Ocean Race finish line draws near, Ian Walker is looking forward to returning home to Warsash after the most dramatic eight months of his sailing career. Five hundred deckchairs designed for the Olympic sailing events at Weymouth and Portland are put up. The Extreme Sailing Series is preparing to make its Portuguese debut in just one week's time, with some of the best sailors of international yacht racing preparing to line up against one another as the 2012 Series makes it move towards its half way point. Up first on Race Course C, the most northern of the three course areas that can be used here in Largs, were the 470 Men sailing the outer loop of the trapezoid race course, with the women scheduled to start second and sailing the inner loop. Dublin Bay Sailing Club Results for 28 JUNE 2012. A sailing team hoping to win the America's Cup on San Francisco Bay next year will construct a floating dock and install a temporary crane capable of lifting a 72-foot catamaran as part of setting up its base at the former Alameda Naval Air Station. NEWPORT, R.I.—Top international sailors are in Newport as racing begins in theAmerica s Cup World Series. Highlights Day 1 - ACWS Newport - It was a frenetic opening day of racing at the AC World Series in Newport, the sixth and final stop on the global international circuit. In glorious conditions on Thursday afternoon, the overall series leader, ORACLE TEAM USA's Jimmy Spithill, extended his lead, while his nearest rival, Dean Barker, saw his season championship hopes diminish with a dramatic and unexpected capsize. Spithill had roaring start in the opening fleet race, powering off the starting line in light breezes to lead from start to finish, giving the American team top seeding in the match racing quarterfinals, which started immediately afterward. Pushed to the limit in the match racing, the team responded to advance to the semi finals. You don't have to be a sailing fan to enjoy the sight of the world's best boats racing around Newport Harbor. At a special presentation in Lorient, Volvo Ocean Race CEO Knut Frostad announced a major change for the next race; the introduction of a new high performance, one design 65ft racing boat. Volvo Ocean Race CEO Knut Frostad said a minimum of eight yachts will be built, with the first launched in June next year. It will still be a high-performance boat, he said, but constructed strong enough to do two consecutive round-the-world races. Almost 100 local businesses in Galway have committed themselves to Fáilte Ireland's Quality, Value, and Service charter during the Volvo Ocean Race. #VOR – The Volvo Ocean Race will have eight boats next time round and in a major departure from the current race a new design has been revealed. The idea is to reduce the cost of mounting a competitive campaign and stem dwindling entry numbers. While it wont be possible to view the action from London 2012 on free-to-air TV, Sky Television will be going to extra measures to ensure you don't miss a moment of the action. Homer Alaska - 16th regatta sails to success 06/27/12. Racing at the 2012 470 European Championship gets underway on Thursday 28 June 2012 in Largs, Great Britain. Teams from sixteen nations are competing, representing a mix of 2012 Olympic teams alongside the younger generation of 470 sailors. The start of the race went fine. Weather conditions were ideal for the trip. Two years ago, the officials who run the America's Cup made an important decision: They were going to change professional sailing into a sport that was actually fun to watch. Costumes for a celebration of the opening of Olympic sailing events in Weymouth and Portland are going on show later. The Mobile Yacht Club is hosting a sailing camp this summer. Kids learn a respect for the water, and they learn that sailing can be a safe and fun sport. LARGS is set to welcome Europe's top sailors to an international championship event ahead of theOlympic Games., Byline: Editorial, Category: Sport, Subcategory:Roundup, Published: 2012-06-28 14:00:00. One of the vessels from the now defunct Windjammer Barefoot Cruises will sail again next month. The Irish Sailing Association and Galway Speeders Club have announced their programme of events for the Volvo Ocean Race finale at a test run at the Galway Docks. Portsmouth Youth Sailing tells how 12 children were saved after their boats went adrift Tuesday on the Sakonnet River. The regatta will also be a warm-up for the LRYSA team, which includes five Melton sailors, before they head off to the National Schools' Sailing Association Golden Jubilee Regatta from July 8 to 15 at the Olympic sailing venue at Weymouth and Portland. Decided to slip in an extra blog to describe something which I first saw as a teenager racing in the Irish Sea around the Morecambe Bay area and the Isle of Man - so like coming home really. MOVING PICTURES - Check out the close calls as Stars tack upwind to the weather mark. Well done video by Sailing World. 2012 Junior Olympic Sailing Festival to be held in Annapolis. Windjammer Sailing Adventures plans first voyage in July - Business - MiamiHerald.com: "One of the vessels from the now defunct Windjammer Barefoot Cruises will sail again next month. Windjammer Sailing Adventures, using one of the vessels from the old company, has scheduled its first voyage for July 22 out of Grenada. Charles Kropke, CEO of Windjammer Sailing Adventures, said rooms are still available for the maiden trip, which will visit several islands in the Grenadines. Prices start at $1,599 per person, based on double occupancy; more information is available at www.sailwindjammer.com." Newport, R.I., is used to big-time sailing. For the final 53 years of the 132-year reign of the New YorkYacht Club in the America's Cup, this was the host venue. PRINCE Charles cracked open a bottle of Dorset beer on a visit to the Olympic Sailing venue – and poured it all over a boat. MANILA, Philippines – Prince Charles met members of Team GB Olympic sailing squad whereOlympic sailing and windsurfing events will be held. Youthsport looks at potential Olympians of the Future. 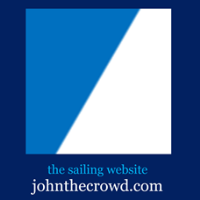 Today, ADAM SUMMERS talks to Sailing ace ADAM GREAVES. In a dramatic rescue Tuesday, eight children were saved after their sailboats were blown off course on the Sakonnet River. The 1948 replica was handed over to the Commodore of the Lyme Regis Sailing Club, David Beer, by his counterpart from the Axe Yacht Club, Gordon Wright. FOUR visually impaired sailors from Northern Ireland stopped off in Peel during a cruise arranged by the charity Sailing For The Disabled (STFD). Three-times Olympic gold medallist Ben Ainslie has said his body is 'slowly letting him down' as he gets older. Jeppesen sponsoring “Sailing for Children 2012”, a regatta for differently able children. 55 Worcestershire school kids did battle at the 2012 WSSCA Sail for Gold Regatta. ... Vivien Brookes, Chair of the WSSCA, said: “The competitors took part in very challenging conditions but there was excellent sailing right across the event.